Sound is produced when the pair of muscle bands known as vocal chords present inside the larynx, or voice box, vibrate, i.e. open and close due to the air passing through from the lungs. While a hoarse or ‘lost’ voice can result from a common cold or screaming at a high pitch for a short time, certain factors can affect the functioning of the larynx, resulting in various vocal disorders that are characterised by temporary or permanent changes in voice quality. Divided into two types: acute (short-term) and chronic (long-term), this common vocal problem is usually the result of a temporary viral infection or over straining of the vocal chords that causes them to swell, hindering their vibrational ability, and resulting in distorted sounds. If hoarseness, a weak voice or no voice, tickling sensation and throat rawness is followed by a dry cough, a sore or dry throat, or the flu, vocal problems may be due to laryngitis. While resting your vocal chords and plentiful fluids are usually sufficient to cure a case of laryngitis, symptoms that persist for over 2 weeks might indicate a serious underlying condition requiring medical attention. Vocal chord abuse via regular, intense episodes of screaming, singing, continued smoking, excessive caffeine consumption (which dries up the vocal chords), and allergies; can result in the formation of nodules (benign, soft, callous-like spots that harden with continued misuse) and Polyps (a blister-like formation) on one or both vocal cords. Nodules or polyps caused by allergies can be treated with medication, while proper vocal training, reducing caffeine consumption and smoking, along with medication can also reduce such growths. Severe cases might require surgical removal. Head/neck trauma, tumours or neck diseases can damage the ‘Vagus nerve’ that controls vocal cord movement, making it impossible for either one (unilateral) or both (bilateral) vocal chords to vibrate, resulting in an unusually quiet voice. While people with one paralyzed vocal cord might run out of breath while speaking and have a loud or unclear voice, the vocal cords are frozen halfway between open and closed in bilateral paralysis, resulting in severe breathing and speaking difficulties. While bilateral paralysis is usually treated via an incision (tracheotomy) in the neck to allow easy breathing and eating, the paralyzed vocal cord(s) might also be surgically brought closer to the middle of the throat, or injected to increase the defective chord’s size. Minor cases might only require medication and speech therapy to improve voice quality. Commonly mistaken for asthma, PVFM is the result of adverse movement of the vocal chords, i.e. instead of opening during inhalation, the vocal cords close, causing wheezing and laboured breathing. The condition may be triggered by either shouting, coughing, excessive exercise, smoke, pollen, breathing cold air, or emotional, psychological or neurological issues. Like an asthma attack, treatment for PVFM involves the identification and avoidance of possible triggers, along with Speech Language Therapy (SLP) and vocal exercises. PVFM that stems from mental issues might require psychological aid. More common in people aged 30-50 (mostly women), this long-term vocal problem, like PVFM, strikes in infrequent episodes that occur more often with time. The vocal cords in people with SD spasm, or tighten during use, resulting in a shaky, hoarse, or tight-sounding voice, with stress and fatigue worsening the condition. SD has two main causes; bodily muscle tremors caused by the nervous system that travel to the larynx, or muscle tightening due to a brain disorder known as Dysphonia. In rare cases, prolonged stress can also culminate in SD. The condition has no known cure, but can be treated by regular Botox injections; which weaken the chords, making the voice smoother and less breathy. However, since immunity to Botox increases over time, some people might undergo surgery. Voice therapy and psychological treatment are often continued alongside Botox therapy to help patients adapt to their condition. If you or anyone you know experiences prolonged hoarseness and vocal or speech problems, consult with a specialist immediately. 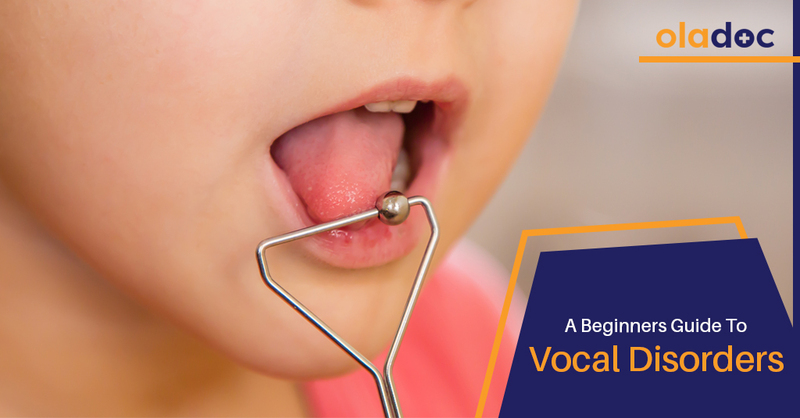 You can also book an appointment with a top ENT Specialist in Lahore, Karachi and Islamabad through oladoc.com, or call our helpline at 042-3890-0939 for assistance to find the RIGHT Doctor for your vocal issues. « Upside Down and Inside Out: Why Do You Feel Dizzy When You Stand Up?